Hero Honda introduced its latest bike Super Splendor which is a makeover of the earlier version. The single largest two-wheeler manufacturer in the world has come out with the new model. Super Splendor has its own credit being the latest entrant in the 125cc segment and is expected to continue success story of the original Splendor. It is a bike that tries to fulfill the concrete needs of the masses. 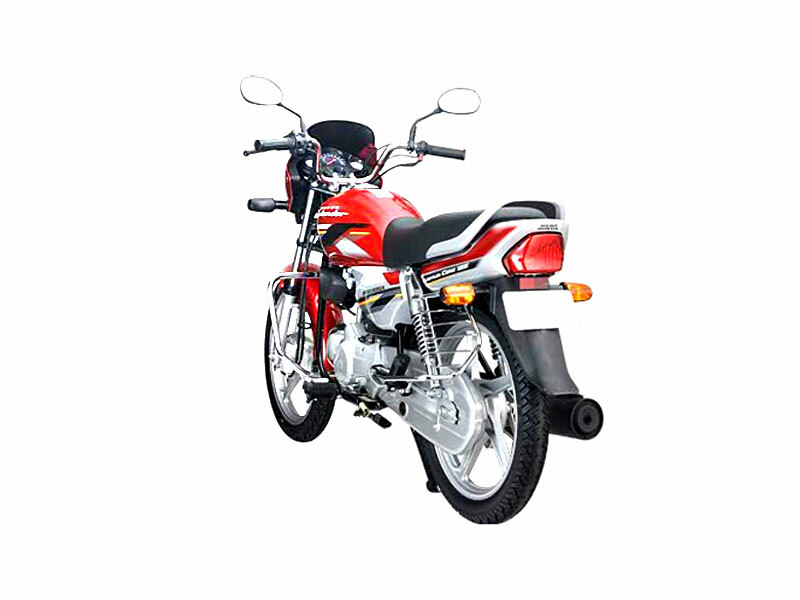 It is an ideal bike for the city commuters who wish to upgrade from 100cc bike. It's easy to handle, hassle free and offers comfortable ride with good mileage. A good suspension system which gives an easy- comfy ride both to the rider and pillion is certainly a cheering persona of the bike. With no funky style and flying performance, Super Splendor is not a race-oriented bike but it is the one that gets us to our destinations safely and economically. The revised engine of the Super Splendor comes with the option of self-start and kick lever. The punchy exhaust tune throughout the rev band is similar to the original Splendor. The most visible change to the air-cooled, single-cylinder motor is the induction of an alloy long-stroke cylinder lump. Its 124.7cc makes a feeble 9bhp at 7000rpm. The engine uses a pair of valves driven by a single overhead camshaft and has adopted regular roller bearings for its rocker arms. The all-aluminum cased engine uses an array of plumbing and electronics to help obtain good mileage and works on conventional slide-type carburetor. It is one of the few 125cc bikes in the country not to upgrade to a Constant Velocity (CV) unit. Gear shifting through the four-speed unit is on a heel-and-toe-operated lever in an all-up pattern. The shifts are smooth and trouble-free. 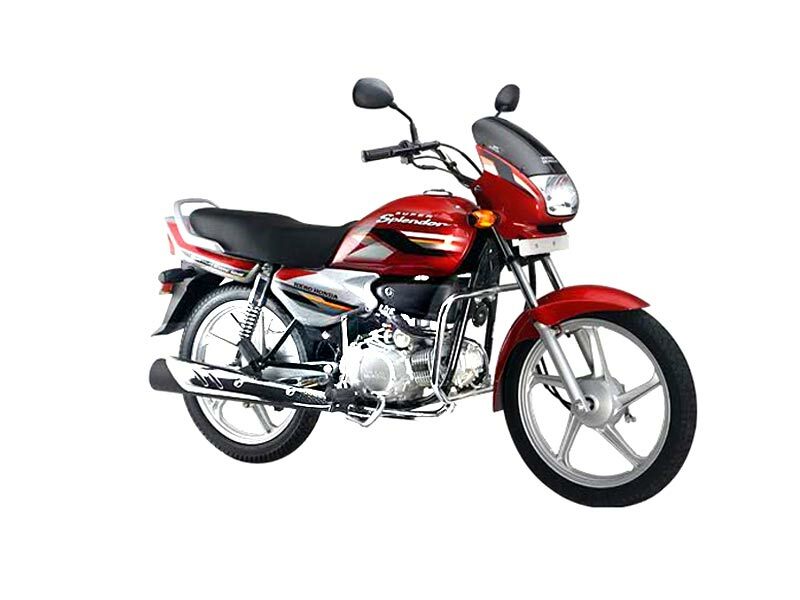 Super Splendor 125cc comes with many welcome features. The dashboard dons a fresh look along with the trip-meter and fuel-gauge as standard while a tachometer is not an option. Levers and grips are classy articles and completely revised switchgear is excellent. High and low beam is easily available at the push of a button instead of a switch. A pass-light flasher has been incorporated and all the switches work with a precise and comfortable feel. The skinny tank and seat look identical to the Splendor units. While the Super Splendor's side panels are designed differently, the tail fairing is not dissimilar to the original Splendor. A black silencer with a massive chrome heat shield is part of the package. Build and paint quality as well as fit-and-finish rank at the high level. This bike inherits the time-tested riding position from the older bike and feels very comfortable. The seat is narrow and a bit stiff if not ridden properly. Both the front telescopic forks as well as the dual rear shock absorbers operate very well. The handlebars steer neutral in any situation and the bike handles firmly with its flex-free, dual down-tube frame. At the same time, it imparts a pleasant light feel while tackling crowded city traffic. Tall gear ratios, roller bearings for rocker arms and slim tyres are the safety layouts of the Hero Honda and it comes with the best possible mileage. The bike delivers excellent figures. It gives around 55.9kpl in rough city traffic conditions while on the expressway, it spots on 58kpl. 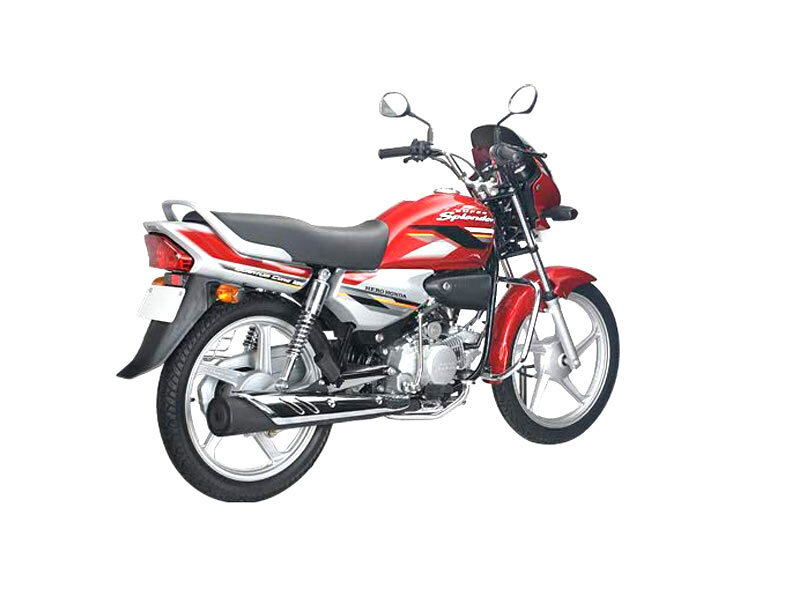 Hero Honda Super Splendor 125cc is the best bike for city commuters as it delivers a mileage of 65-68 kmpl. Hero Honda Super Splendor is available in 5 colors such as Vibrant Blue Mettalic, Cloud Silver Mettalic, Mono Tone Black, Candy Blazing Color and Dual Tone Black.